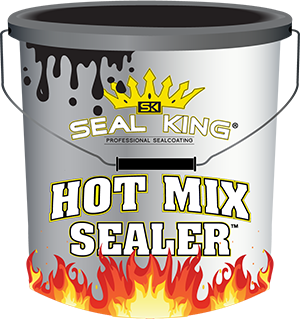 Seal King will train all new franchises on how to run a new sealcoating and repair business. You will benefit from our 16 years of experience and knowledge in the pavement business. All aspects of the sealcoating business will be covered. Marketing: How do you get jobs? Sales techniques: Product knowledge, closing, qualifying. Bookkeeping: Keeping inventory, Accounts receivable. Industry Awareness: Educating customers on benefits of service. Follow up sales: Continue to market after the sale. Customer service: Always strive for 100% satisfaction. Problems: Address problems and resolve quickly. Hard work: Full days of work when weather permits. Persistence: Keep driving for success. Honesty: Be honest with customers and employees. When weather is appropriate for sealcoating, our staff will assist you with hands on demonstrations of our unique sealcoating system. 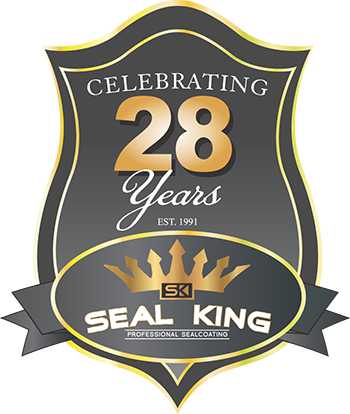 We will train you to use all the equipment on the custom Seal King trailers. During this four day training in the field we will also cover marketing strategies and customer sales procedures. You will become familiar with all the aspects of your new business. Training in the field allows you to see first-hand the positive response customers will give you when they see how great their newly sealcoated driveway looks.